Feminist art history has two meanings: the study of feminist art made from the late 1960s to the present and a revisionist reading of the history of art to examine women and their images and involvement as artists and patrons. I want to consider the second version here to clarify what a feminist revisionist reading is and how to do one. Despite the reality of women’s involvement in the history of art, their contributions were marginalized if considered at all. The statistics and situation of art history were skewed away from examining women artists and their activities and even representations of women’s experience. As one example, H.W. Janson’s History of Art did not include any women artists in the first edition. 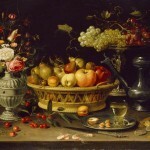 Now, this painting by Clara Peeters is illustrated in full color and there are about 750 words of text discussing it. Suddenly, women artists came into existence who had largely been lost to history. In addition to feminist art historians who recover the ignored accomplishments of women artists, there is another camp as well. This latter group of feminist art historians examine the corpus of traditional art history and read the images in a new light, through feminist lenses. What’s exciting about this method is that it helps you think about an artwork from a wider frame of reference, thus complicating and expanding the canon in interesting ways. Students usually respond well to a feminist revisionist reading. They are able to connect more to the experiences of people, situations, and iconography of cultures throughout history or in faraway places. The resemblance they see between their life experiences is often more evident as is learning about the ways people lived in the distant past. I say usually here because if you call it a “feminist revisionist approach,” you will most likely lose them. The word feminism is loaded these days. Some students embrace and seek out opportunities to discuss and study gender and identity issues. While other students fear feminism because they do not understand it. Feminism is equality and access for women. This concept is one which most students support almost without question because they are acclimatized to its principles and tenets in their daily lives. [i] However, many students shy away from labels, while others don’t like the activist and revolutionary components of feminism. When you read art from a feminist perspective, you are identifying previously diminished or disregarded components of an artwork. As an example, the western tradition of marginalizing sexuality in art—principally a requirement of the church—means that privacy and private acts were shifted away from view. Since the domain of women was largely the home, their roles, and by extension images of them, were limited. When reading art from a feminist revisionist perspective, you are calling attention to minimized, dislocated aspects by using a fresh approach. You aren’t decrying the discipline in its traditional form, but bringing new interpretations which enliven the art. How do you teach from a feminist revisionist perspective? See if you are able to answer some or all of these general and overarching questions about the art in any period of history you cover in the survey course. What was life like from the perspective of women? 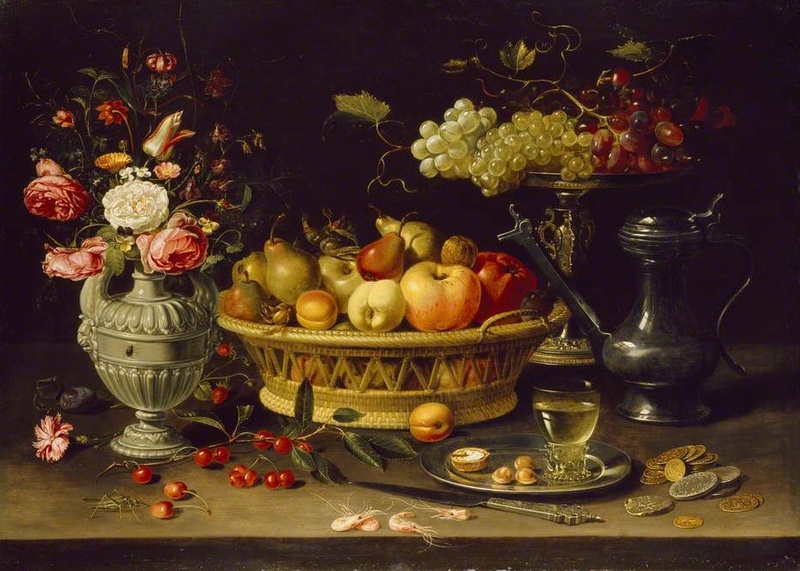 How did private life, home, domesticity, the family impact culture and society and art? Who participated in gendered activities, such as crafts, in the past and how do they exist or how are they viewed now? Why were women’s roles in all areas of culture limited in the past and how has their situation changed or remained the same over time, in that society, and in other societies? Where are changes evident in art about women’s involvement? What reasons did changes occur in any period? What is known about the ways women participated as artistic producers throughout history? “The personal is political” was the clarion call of the women’s liberation movement, or second wave, at the end of the 1960s. Using feminist revisionism is a way to expand significantly how you consider art and how your students will too. For the survey level student, such an interpretative model can help engender meanings in art more directly connected to the personal and the private and provide a more accurate portrayal of women over time. It can be interspersed throughout a course, restricted to a single session, or used as a topic of class discussion. These questions could provide a framework for such a conversation. [i] Amelia Jones in “Contemporary Feminism: Art Practice, Theory, and Activism–An Intergenerational Perspective,” by Mira Schor, Emma Amos, Susan Bee, Johanna Drucker, María Fernández, Amelia Jones, Shirley Kaneda, Helen Molesworth, Howardena Pindell, Collier Schorr, Faith Wilding, Art Journal, Vol. 58, No. 4 (Winter, 1999): 17. Thanks for the useful overview and historical summary. The questions are also a helpful approach.